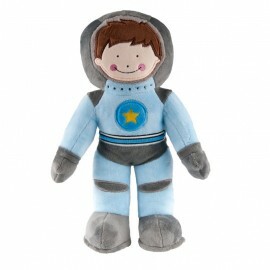 Spaceman soft toy - spacekids - space toys, dressing up costumes, kids spacesuits, astronaut food, cool space stuff! Meet our cuddly Spaceman soft toy! Suitable for all ages, including from birth, Spaceman makes a super, unique gift that has been lovingly designed in the UK. Large size, stands 32cm high.